Are you wondering where the bass fishing capital of the world is? Have you asked, “how can I catch a trophy largemouth bass? Or “When is the best time to come bass fishing in Florida? 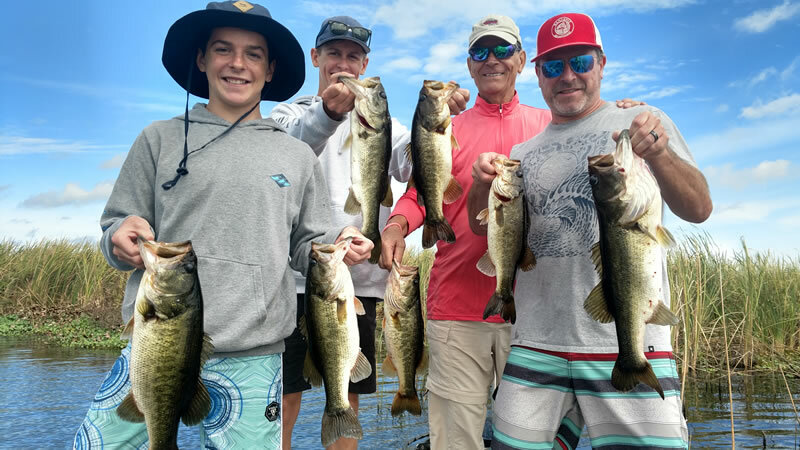 Welcome to Florida, the bass fishing capital of the world and the only place you can catch multiple species of bass in one fishing charter. Florida is known to have some of the BEST bass fishing in the nation. Great fishing conditions year round promote exceptional action on all our major lakes and destinations. Many travel to this beautiful state and have never experienced all that Florida has to offer. When you think of Florida, the outdoors should be the first thought in your mind. One of our goals here at iOutdoor is to provide you knowledge so that you can experience something new, unique, rewarding, and amazing. Our goal is to share along exceptional outdoor experiences with local experts that have spent hours and days on the water. When you step aboard our fishing vessels, rest assure you are in great hands. 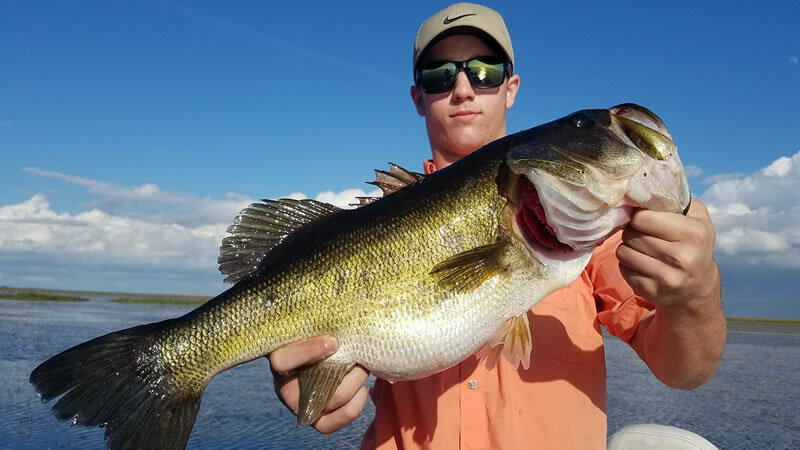 Florida has a multitude of bass species you can catch. By far, the most common is the Florida largemouth bass. 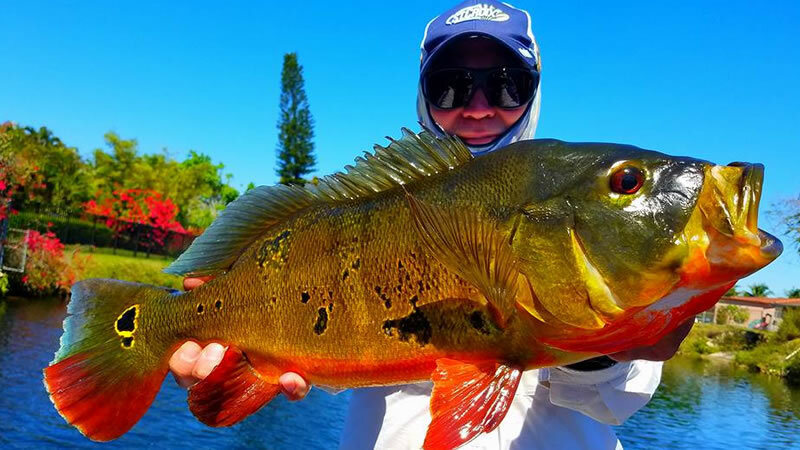 In addition, many travelers to South Florida also enjoy catching the exotic peacock bass. Also, you can catch sunshine bass, spotted bass, and striped bass. When it comes to catching these species, it all depends on which location and destination you will be traveling to. Best time of year to go bass fishing in Florida? When you come out on a fishing charter and adventure, enjoy catching largemouth bass and peacock bass. Those are the main targeted species here in Florida. In order to determine which destination would be best, you have to choose the species. Largemouth bass can be caught in every freshwater lake, pond, or river you can find. 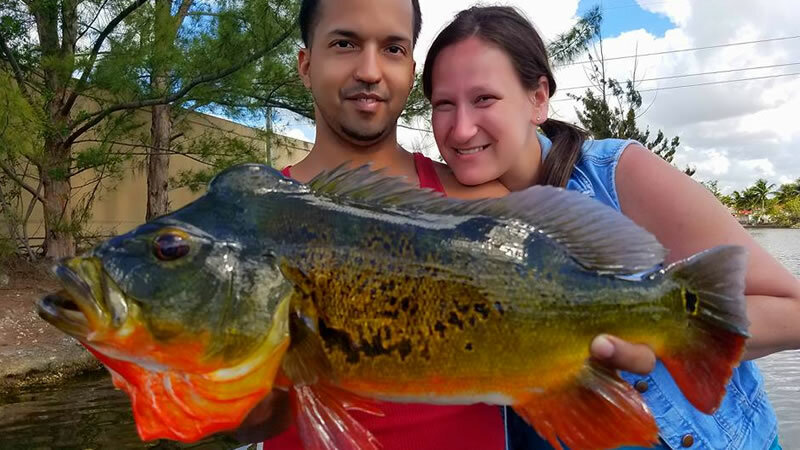 Peacock bass can only be caught in South Florida. The furthest north they have migrated to would be the Lake Osborne Chain of Lakes in Boynton Beach, FL. The best time of year to come fish for largemouth bass is during their spawn. A spawn is an event of mating that occurs multiple times of year for many bass species. Each spawn will vary based off the temperatures and water conditions. Bass spawn at an optimal water temperature ranging from 65-75 degrees. These conditions begin to stabilize during the month of January into February. The best times to come catch largemouth bass here in Florida is from February through May. If you can plan your trip around moon phases that will give you the best chance at catching very large trophy-sized bass. Florida Peacock Bass are highly exotic species that love the sunshine here in Florida. Peacock bass spawn during the months of April through September, also depending on water temperatures. They love to reside in very warm waters which are also the best time to come catch one. Females typically are the larger fish. The males or the protectors typically don’t get as large but grow a knot on top of their head. Peacock bass are incredibly fun to catch as they are aggressive, hard-pulling, and very colorful. Best time of day to go bass fishing? 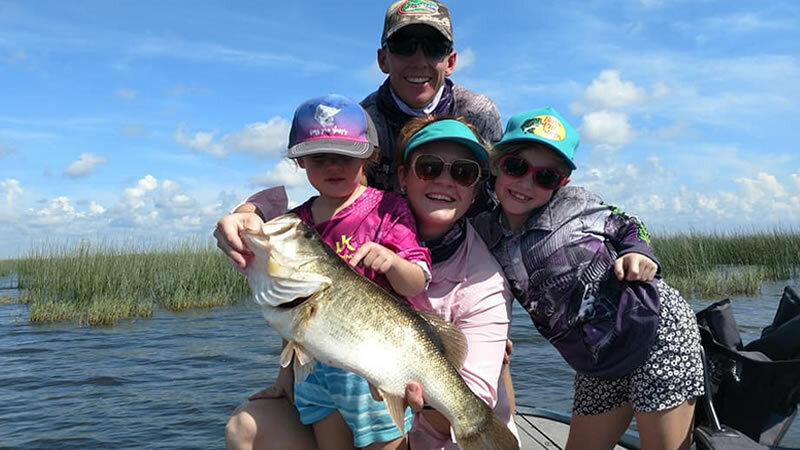 Many ask us on a daily basis: “When is the best time to go fishing in Florida?” The best time to go bass fishing is dependent on fishing conditions. If the fishing conditions are warm, the best time to come bass fishing is in the early morning. There is nothing like early morning topwater bites whether fishing for largemouth or peacock bass. Florida, like the rest of the United States, experiences cold fronts during the winter months. If the cold fronts drop the water temperatures significantly, then the afternoon bite will be the strongest. If you are fishing during our warm months here in Florida, the early morning hours is when the temperature is the lowest and the bass bite the best. Get on the water before sunrise and get to your favorite fishing spot during safelight. Yet again, peacock bass love the warm water, so when the temperature of the water is highest, typically is the best time to get out there. How do you choose your fishery? 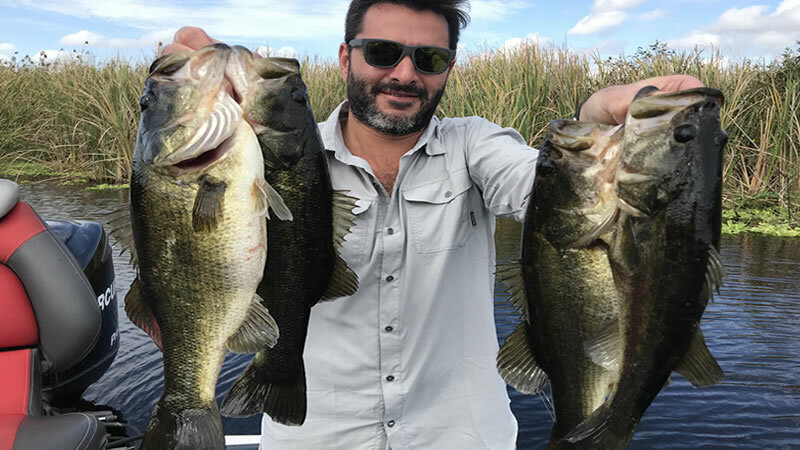 As you travel from North Florida to South Florida, you can uncover some of the most remarkable bass fishing experiences. You will never get bored while uncovering what Florida has to offer. Take a pit stop in Gainesville, FL to experience the Rodman Reservoir. If you are looking for a TROPHY bass fishery that produces almost all year long, this is your destination. Several of our local experts will get you on the largemouth bass of your dreams. If you are visiting Central Florida, Orlando Florida Bass Fishing is a great option to get in the outdoors. Don’t worry; our local experts are highly professional and family friendly. Don’t forget to bring along everyone on your fishing charter to make a truly remarkable experience. Orlando, FL is closely located to several exceptional largemouth bass fisheries. If you are looking for a more urban feel, the Butler Chain of Lakes is your destination. Enjoy a deep clear water chain of lakes surrounded by multimillion-dollar homes. When you adventure out on the Butler Chain, you are not only going to catch numbers of big bass but you also have the opportunity to fish behind Shaq’s and many other celebrities houses. Just south of Orlando is another fantastic lake. Lake Tohopekaliga or Lake Toho for short is one of the BEST bass fisheries in the state of Florida. 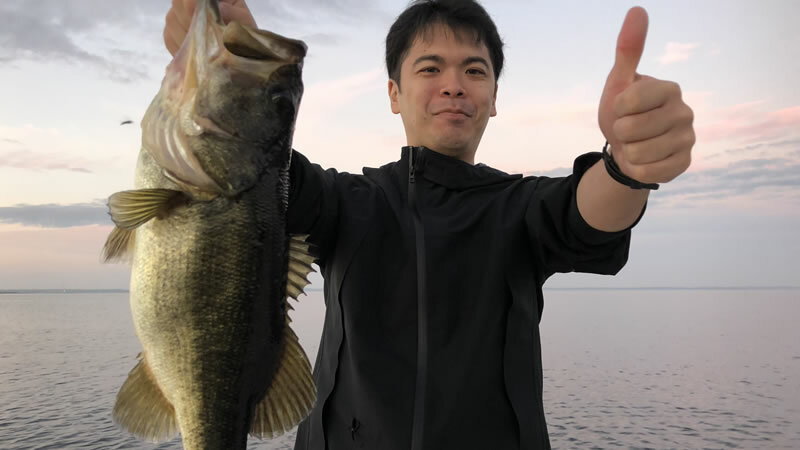 If you are looking for a trophy-sized bass all year long, Lake Toho is your destination. Lake Toho is located in Kissimmee, FL. This 35 square mile lake is jammed packed with family bass fishing action like no other! 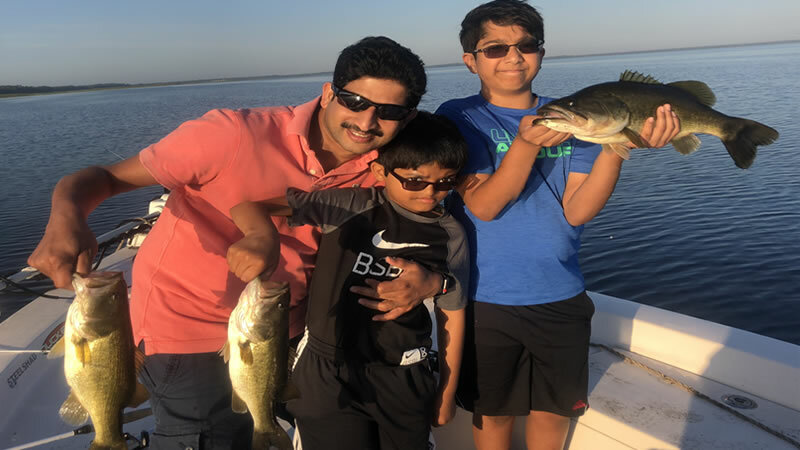 Take a break from the parks and tourist attractions and hop on board for a fishing adventure of a lifetime while Lake Toho Bass Fishing. As we head further south, you can’t miss the largest freshwater lake in the state of Florida, Lake Okeechobee. Lake Okeechobee Bass Fishing is a major highlight for those that come to explore and visit Florida. Lake Okeechobee is a world-renown lake for its incredible bass fishing all year long. The largemouth bass are starting to move in and the fishing is going to be amazing the next couple of months. You can experience Lake Okeechobee from Okeechobee City, FL or Clewiston, FL, and finally Belle Glade, FL. Each location will give you a unique perspective on Florida Bass Fishing. Don’t miss out on your adventure! species you can catch with our local experts. While visiting Naples, you can also experience the Florida Everglades. As of current, the Everglades is one of the most productive fisheries for big numbers of largemouth bass. If you love to throw artificial lures, this is your destination. Spend all day with birds flying overhead, alligators sunbathing and setting the hook into some quality bass. Alligator Alley would be the closest location to Naples. Come explore and catch more bass than you can imagine on a freshwater fishing trip. Heading over to the east coast, you can experience even more freshwater Everglades bass fishing out of Fort Lauderdale, FL. 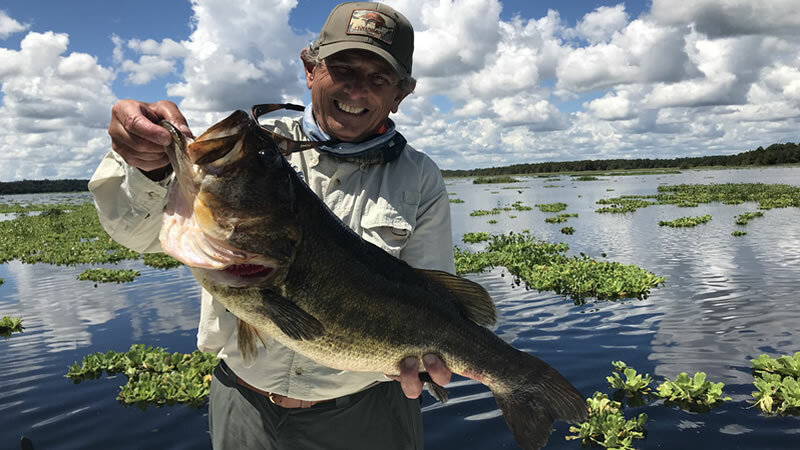 Explore the iconic Everglades Holiday Park on a bass fishing charter. Stop for lunch or power through and catch big numbers on the back flats and long canal systems of this beautiful and wild destination. 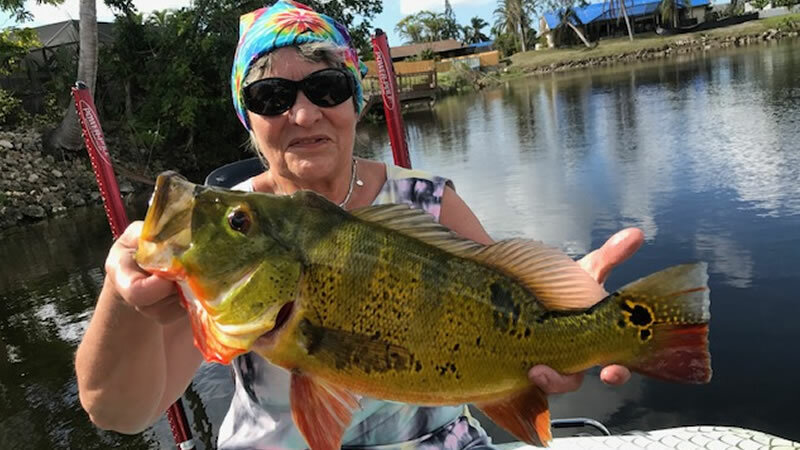 You can also experience peacock bass fishing in Markham Park which is right on the board of the Everglades in West Fort Lauderdale. peacock bass you were hoping for. Airport Lakes will give you an urban feel while setting the hook into a bass with a plane overhead. The Falls Canal System is a quiet destination in a community of beautiful homes in South Miami. Each will fulfill your dreams of catching exotic species while bass fishing in Florida. Best way to experience Bass Fishing in Florida? The only way and best way to experience bass fishing in Florida is on a fishing charter. Our local experts and professional captains are on the water on a daily basis. This allows for you to spend as little time possible locating fish and just spend most of your time catching bass. Never worry about baiting, netting or removing a hook from a fish again, our local experts handle all of that. If you don’t have the equipment, our local experts come fully equipped for your fishing charter. All you have to do is book you’re fishing adventure, bring your family along, hop on board and enjoy a fishing adventure of a lifetime. Our experts are knowledgeable, patient, passionate and committed to showing you the best possible experience. Enjoy a day on the water with our local experts that you will not forget. Let us handle and take care of everything for you. Contact us with any questions you have about bass fishing in Florida. We are always here to help and you can book your reservation 24/7! We look forward to seeing you on the water next time! !